The programme which aired last night showed staff aggressively handling children, shouting at them, and leaving them in high chairs for long periods. THERE HAS BEEN widespread anger and criticism of a number of creches after an RTE Prime Time programme which showed young children being mistreated by staff. The programme, ‘A Breach of Trust’, aired last night and showed staff aggressively handling children, shouting at them, and fabricating entries in daily diaries detailing what the children had done that day. In one incident, a baby was left in a high chair for two hours, while other children were strapped to their chairs for long periods. The programme was trending on Twitter in Ireland throughout the evening as viewers took to social media to express their shock. Hundreds of people also left angry comments on the Facebook page of Links Childcare, which has since been deleted. 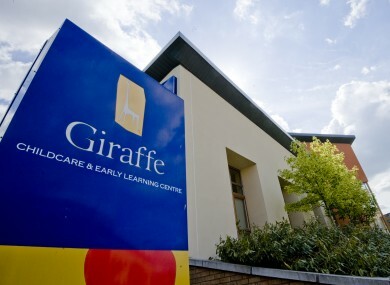 Journalists posing as childcare staff secretly recorded footage at three creches – the Links creche in Abington in Dublin, the Giraffe creche in Belarmine, Stepaside, and Little Harvard in Rathnew, Wicklow – which had been found to have broken HSE childcare regulations in the past. The programme raised serious questions about the weak regulation and inspection regime of creches. Under documents obtained under the Freedom of Information Act, the programme makers found that 75 per cent of pre-schools and creches breached HSE regulations in 2012, but with little, if any, consequence for the organisations. Gardaí are currently investigating complaints about the alleged mistreatment of children in two creches in Dublin. Neither a HSE representative nor the Minister for Children Frances Fitzgerald appeared on the programme or on the subsequent panel discussion. The representative group for creches in Ireland said there were “no excuses” to justify the poor practice documented in the programme. “Our thoughts go out to the children and parents directly affected but also to the thousands of childcare professionals across the country who deliver great experiences for children every day who are feeling vulnerable following this programme,” said Early Childhood Ireland in a statement following the programme. Early Childhood Ireland said the government and HSE need to change the way creches and pre-schools are inspected. Prime Time said that the undercover reporters had childcare qualifications and received advice from a childcare expert during filming. The undercover staff reported a number of serious incidents which they witnessed to the HSE. The programme will be aired only once, and will not be uploaded to the RTE Player for future viewing. If you were affected by issues in the programme, you may wish to contact Barnardos at 01 – 454 9699 or the ISPCC at 01 – 6767 960. Email “Anger as RTE Prime Time shows mistreatment of creche children”. Feedback on “Anger as RTE Prime Time shows mistreatment of creche children”.